Secretary general of the Commonwealth Secretariat Kamalesh Sharma paid a courtesy call on Prime Minister Perry Christie, September 29, at the Office of the Prime Minister, Cable Beach. During his official visit to The Bahamas, September 28-30, the secretary general discussed Commonwealth matters with government officials, and gave a lecture at the College of The Bahamas. 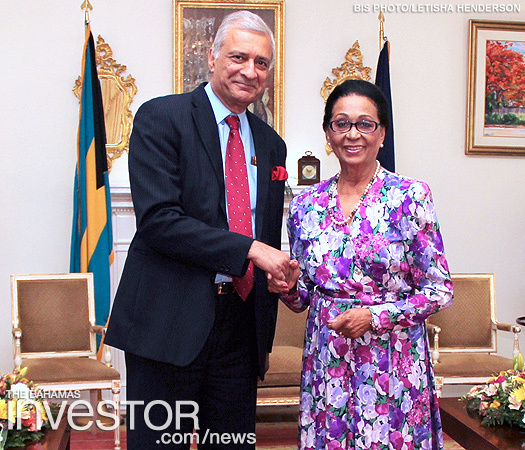 Sharma also met with governor general Dame Marguerite Pindling, September 29, in a courtesy call at Government House.